Good morning ... The fangtooth fish is only about 6 inches long, but it has the biggest teeth, relative to its body size, of any animal in the ocean. It lives way down in the deep, where darkness and sheer pressure scare off everybody else, and it's one of the creepiest-looking fish you'll ever see. Anyway, happy Friday. The Food and Drug Administration wants to see an over-the-counter version of naloxone, the drug that can revive people who have overdosed on opioids. And it’s taking unusual proactive steps to get one. Where it stands: Over-the-counter drugs all have a “Drug Facts” label explaining, in layman’s terms, how to use that drug. Prescription drugs don’t have one, and therefore naloxone doesn’t have one. So the FDA went ahead and made one itself — an “unprecedented step,” the agency said. It also conducted the research drug companies normally have to do to demonstrate that consumers can understand those instructions about using a product, and it released the results publicly. 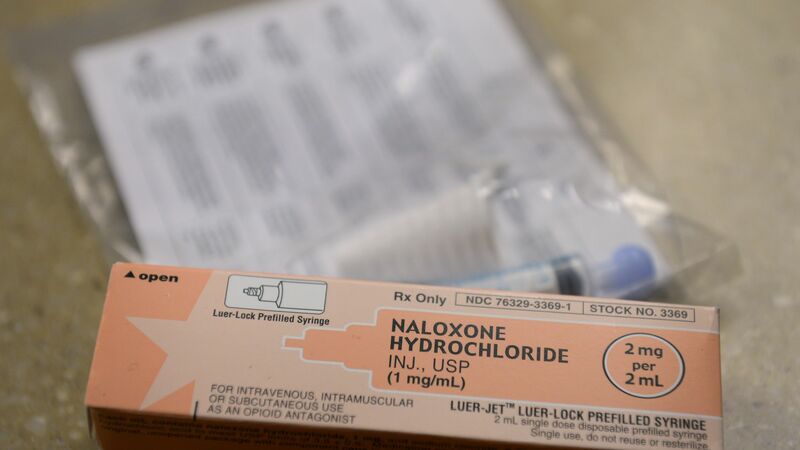 Why it matters: Getting naloxone into more people’s hands is a top priority for public health officials — Massachusetts even has a standing statewide order so that pharmacists don’t need a new prescription every time they dispense it. Making it available without a prescription would be a big deal. The opioid epidemic’s toll may be worse than we’ve recognized. Scientists are now researching whether opioid use might be associated with a birth defect called gastroschisis, in which “ baby is born with its intestines hanging outside the stomach,” the AP reports. It’s generally associated with young mothers or women who smoked or drank during their pregnancies, per the AP. But researchers have also noticed that gastroschisis is 60% more common in the counties that have the most opioid prescriptions. The Institute for Clinical and Economic Review is working on a new annual report that will call out specific drugs with big price increases that are “unsupported” by independent medical evidence, Axios’ Bob Herman: reports. The big picture: This report is going to put the industry on the spot by making companies explain why their drugs keep getting more expensive well after they’ve been developed, approved and marketed. PhRMA, the industry’s main trade group, said ICER’s report could be “flawed and inaccurate” but did not respond to questions about how that could be. Generally, the industry hates ICER, which serves as an unofficial watchdog for drug pricing. Yes, but: The group is taking a deliberative approach to show whether drug companies have had legitimate reasons for raising prices. "By identifying drugs with substantial price increases for which there is no basis in new evidence, we hope to make an important first step in providing the public and policymakers with information they can use to advance the public debate on drug price increases,” ICER officials wrote in a document explaining the project. What to watch: Some big names will likely be in ICER’s report. AbbVie’s Humira and Amgen’s Neulasta, for example, bring in billions of dollars of revenue, and the companies raised the prices of each drug by more than 4% in both 2017 and 2018. The Trump administration didn't commit to many dramatic changes to the Affordable Care Act yesterday, when it (finally) released the annual rule that governs the ACA's insurance exchanges for the following year. But it is entertaining some major changes for the future. Details: The annual ACA payment rule says that the Trump administration supports a legislative fix to restore the ACA's cost-sharing subsidies — funding Trump chose to cut off. The unusual workaround insurers adopted after Trump cut off those funds has, somewhat surprisingly, made some coverage a lot more affordable by boosting the ACA's premium subsidies. And that has weakened Democrats' enthusiasm for a deal to reinstate the canceled payments. The rule would also officially allow the use of "coapy accumulators," under which only true out-of-pocket spending counts toward patients' out-0f-pocket maximums. That's a blow to pharma, which wants its copay coupons to count toward patients' maximums. Go deeper: Bob explained the copay accumulator debate last year. Analysts at Barclays’ investment banking division offered 3 possible reasons for why scripts were lower. High-deductible health plans are making people hesitant to get their drugs, although that may not have affected December as much, since many people have reached their annual deductible at that point. More people are getting 90-day prescriptions instead of monthly ones. Regulators and pharmacies are cracking down on certain prescription drugs, like opioids. 5. Women's March backs "Medicare for All"
The Women's March organization is backing a Medicare for All program that "replaces healthcare premiums, deductibles and copayments with modest, progressive tax increases," Axios’ Caitlin Owens reports. Between the lines: This is the farthest-reaching version of Medicare for All, and would be more generous than the current Medicare program. This is just more evidence that Medicare for All is now becoming firmly ensconced in the Democratic mainstream.